Your shortcut to Dutch arts and culture in the US. Dear visitor, we make use of some cookies (for our Like Page feature) and use Google Analytics to count the traffic on our website. _T_wo Vincent van Gogh paintings from the Phillips Collection will be coming to Atlanta’s High Museum of Art this spring. The High Museum of Art will be the exclusive venue in the Southeast for “European Masterworks: The Phillips Collection” (April 6 through July 14, 2019), an exhibition comprising 75 iconic paintings and sculptures from America’s first museum of modern art. These incomparable Impressionist, Post-Impressionist and Expressionist artworks exemplify the distinctive eye of collector Duncan Phillips, who opened his acclaimed museum in Washington, D.C., in 1921. Visitors to the exhibition will encounter exquisite examples of Romanticism and Realism by Eugène Delacroix, Jean-Auguste-Dominique Ingres, Honoré Daumier, Gustave Courbet and Édouard Manet in dialogue with masterpieces by Vincent van Gogh, Claude Monet, Alfred Sisley, Edgar Degas, Paul Cézanne, Paul Gauguin. Also featured are superb works by modern artists who held a special place in Phillips’ pioneering collection and who shaped the look of the 20th century, including Pierre Bonnard, Georges Braque, Nicolas de Staël, Alberto Giacometti, Wassily Kandinsky, Henri Matisse, Amedeo Modigliani and Pablo Picasso. Many of the works in the exhibition have not traveled together in more than 20 years. 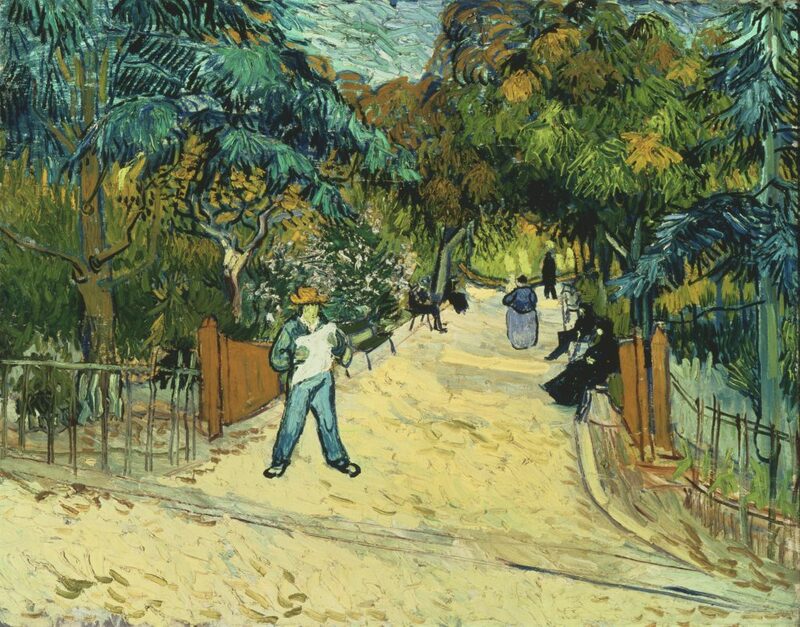 Vincent van Gogh (Dutch, 1853–1890), Entrance to the Public Gardens at Arles, 1888, oil on canvas. The Phillips Collection, Washington, D.C., acquired 1930. 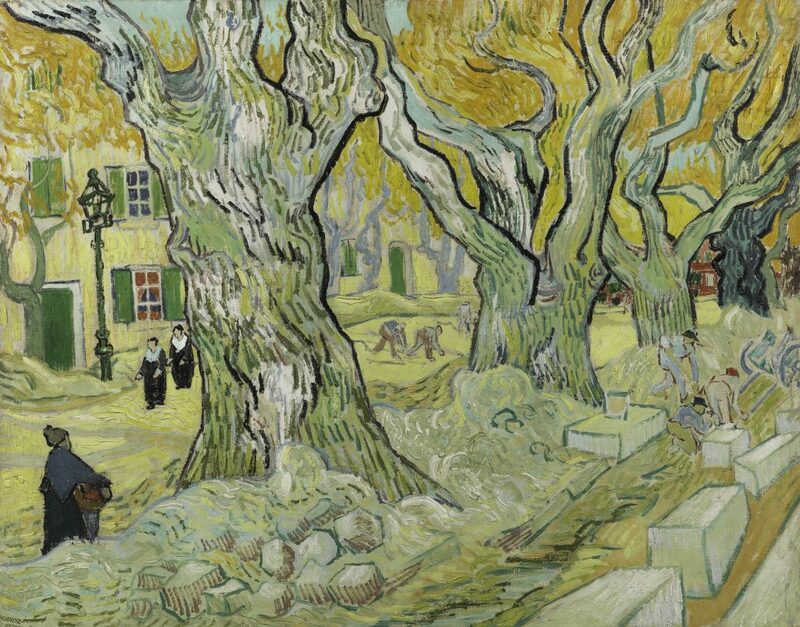 Vincent van Gogh (Dutch, 1853–1890), The Road Menders, 1889, oil on canvas. The Phillips Collection, Washington, D.C., acquired 1949. Duncan Phillips (1886‒1966) was the younger son of Major Duncan Phillips, a Pittsburgh businessman and Civil War veteran, and Eliza Laughlin Phillips, whose father was a banker and co-founder of the Jones and Laughlin steelworks. He moved with his family to Washington, D.C., in 1895. After graduating from Yale in 1908, Phillips wrote extensively about art and published his first book, “The Enchantment of Art,” in 1914. Along with his brother, Jim, Phillips began to collect art in 1916 with the support of his parents. His father’s death in 1917 and Jim’s death from influenza in 1918 were stunning blows to Phillips, and he and his mother responded by founding the museum, originally called the Phillips Memorial Art Gallery. In October 1921, just before the museum opened, Phillips married artist Marjorie Acker, and the two worked together closely to build the museum’s collection. Over the ensuing years, Phillips continued to write about art, build strong relationships with artists as patron and collector, present numerous exhibitions and frequently rearrange works of art in the galleries. He served as the museum’s director until his death in 1966. Located in the heart of Atlanta, Ga., the High Museum of Art connects with audiences from across the Southeast and around the world through its distinguished collection, dynamic schedule of special exhibitions and engaging community-focused programs. Housed within facilities designed by Pritzker Prize–winning architects Richard Meier and Renzo Piano, the High features a collection of more than 17,000 works of art, including an extensive anthology of 19th- and 20th-century American fine and decorative arts; major holdings of photography and folk and self-taught work, especially works by artists from the American South; burgeoning collections of modern and contemporary art, including paintings, sculpture, new media and design; a growing collection of African art, with work dating from pre-history through the present; and significant holdings of European paintings and works on paper. The High is dedicated to reflecting the diversity of its communities and offering a variety of exhibitions and educational programs that engage visitors with the world of art, the lives of artists and the creative process. For more information about the High, visit www.high.org.